ATNIP, Elizabeth Allene Moss age 97, passed away September 21, 2011. 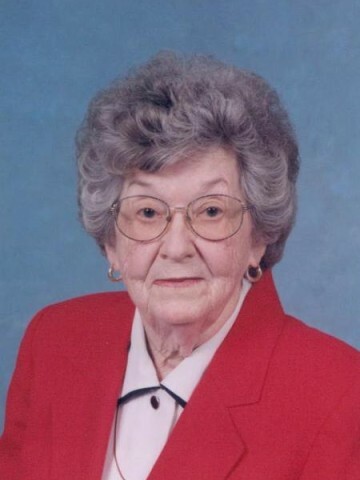 She was a lifelong member of the Cumberland Presbyterian Church and most recently attended the Hendersonville First Presbyterian Church congregation. Mrs. Atnip dedicated her life to her faith, church, family and friends. Gardening and growing beautiful roses was a favorite pastime. She is preceded in death by her husband, Oliver Lee Atnip; grandson, Danny Lee Durham and her siblings: Porter Moss, Otis Moss, Robert Moss, Beecher Moss, Thomas Moss, Hattie Moss, Lillie Lassiter, Lorene Haley and Ruth Winfrey. She is survived by her daughters, Diane A. William Durham and Sandra A. Benjamin Brown; grandchildren, Elizabeth Ashley Clint Brown Brown, Margaret Allison Brown Bowen, Amy Anne Brown and Rusty Mary Durham. A Life Celebration Service will be held on Saturday, September 24, 2011 at 2 p.m., with Denney Shepard and Justin Gung officiating at Hendersonville Funeral Home. Interment will follow in the Hendersonville Mausoleum. Active pallbearers will be William Durham, Rusty Durham, Ben Brown, Clint Brown, James Moss, Bill Moss, Jerry Winfrey and Jeremy Bell. In lieu of flowers, donations may be made to Sumner County Hospice. Visitation will be on Friday, September 23, 2011 from 4 p.m. until 8 p.m. and prior to the service on Saturday, beginning at 1 p.m. at HENDERSONVILLE FUNERAL HOME 353 Johnny Cash Pkwy, Hendersonville, TN 37075 615 824-3855. I only knew Mrs. Atnip through her granddaughter, Elizabeth Ashley Brown. She seemed to be an incredible woman and I wish I could have known her personally. Her family is so blessed to have had her in their lives and she will be greatly missed. Mrs. Atnip leaves with her family some beautiful memories which will last a lifetime. Sorry for your loss of a loved one. So sorry for you loss. My thoughts are with you.